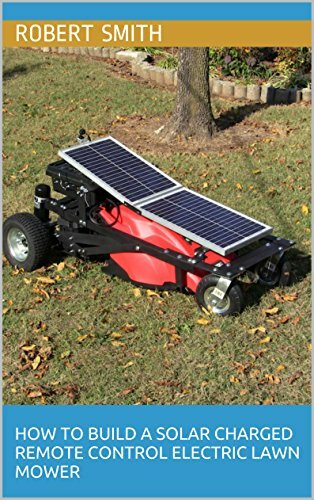 Has anyone sprung for a robot lawnmower? Any plans or temptations? iRobot (makers of Roomba) have announced one. I didn't realize Honda already had one. The difference is Honda requires a wire around your yard to guide it. iRobot's lawnmower just requires you to drive in a couple of beacons into the yard and then manually drive it around the edges of the yard once showing it the boundaries and places to avoid. I guess in the future people won't know the satisfaction of mowing a lawn! I no longer have one but growing up I loved spending time curating the lawn. Now when I go visit my parents I ask them NOT to mow anything so I can do it all. I find it therapeutic. I'd rather be riding! It would also be very useful for when I am away for an extended time, to avoid getting any HOA love letters. And think I'd get one as soon as I can afford it! Right now it appears they can be had for anywhere between $600 to over $3,000, and am sure results vary. But need to figure out how it would cross the driveway to cut the right side lawn. That was a name I never would have associated with lawnmowers. I had to Google them. The things I never knew: founded in 1693. What company is that old? Guns, sewing machines, motorcycles, e-bikes. What don't they make? Maybe it's an irrational fear, but I have kids and pets, first of all. I'd rather them not end up as a War Amps poster child because I was too nerdy and/or lazy to cut my own lawn. Secondly, in a society where you can be sued for other people's stupidity, I also would rather avoid the mess (literally and fiscally) if someone else's kid/animal/thing got chewed up by a robot mower. Thirdly: If my son isn't earning his keep mowing the lawn and learning how to be responsible and also understand basic care and upkeep of tools/motors, you'll find me out there, enjoying some time to myself and some light exercise. I think robot mowers answer a question no one was asking. Personally, I'm glad you think that way Chris. It seems like every home I visit the number of battery-powered gadgets I see is increasing exponentially. Do we buy them just because it's fun or cool? That looks impressive and very tempting, considering I just mowed my lawn with a manual mower yesterday :-) It's not that big, but still; man with manual mower does not need the gym! Are these robots very expensive? I just searched Amazon and they have quite a variety of them now, starting at $878. 💰$1,500 is more typical but they go all the way up to $3,500. It's amazing what they sell. You can also buy a grillbot if your arm gets too tired pushing a brush to clean your backyard grill. Regular lawnmowers are in the $100-$300 range. That leads me to envision being finally free to travel for months, without worrying my lawn falling in a state of neglect and getting nasty hoa letters, hahahahaaa..